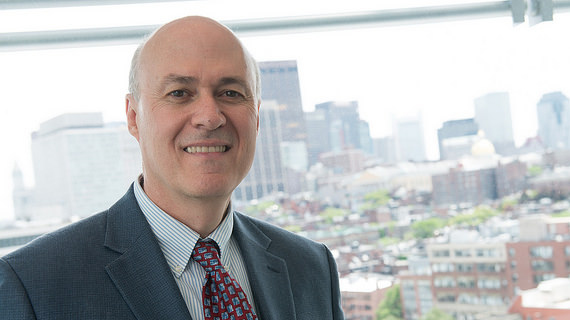 Dr. Gregory Fricchione currently serves as the Director of the Chester M. Pierce, MD Division of Global Psychiatry, Director of the Division of Psychiatry and Medicine at MGH, and Director of the Benson-Henry Institute for Mind Body Medicine. He is also a Professor of Psychiatry at Harvard Medical School and an Associate Chief of the Department of Psychiatry at MGH. Dr. Fricchione founded the International Psychiatry Division in 2003 with Dr. Chester M. Pierce and served as the Division’s original director until 2009. Dr. Fricchione reassumed directorship of the Division of Global Psychiatry in November 2015. Dr. Fricchione is an active researcher and has published more than 130 journal articles. He has made important original contributions to the treatment of patients with catatonia and to the management of cardiac patients who suffer from co-morbid psychiatric conditions. He is co-author of four books on topics including general hospital psychiatry, catatonia, the connection between depression and heart disease, and stress physiology. He also authored the book Compassion and Healing in Medicine and Society on brain evolution and the relationship between separation and attachment, and its importance for medicine and the human experience. Most recently, Dr. Fricchione has been studying neurobehavioral mechanisms underlying diseases that connect the mind and body. He has been a reviewer for many major medical journals. Prior to MGH, Dr. Fricchione worked at the Brigham and Women’s Hospital in Boston as Director of the Medical Psychiatry Service from 1993 to 2000 and as Director of Research at the Mind/Body Medical Institute from 1998 to 2000. He worked at the Carter Center at Emory University in Atlanta, Georgia from 2000-2002, where he directed the Rosalynn Carter Fellowships in Mental Health Journalism, and worked closely with former President Jimmy Carter and Mrs. Rosalynn Carter on international public mental health issues and policy. This included clinical and public mental health training projects in Ethiopia, where he also served as a Visiting Professor of Psychiatry at Addis Ababa University. Dr. Fricchione received his medical degree from the New York University (NYU), and completed his postgraduate training in psychiatry at NYU-Bellevue and in psychosomatic medicine at MGH.